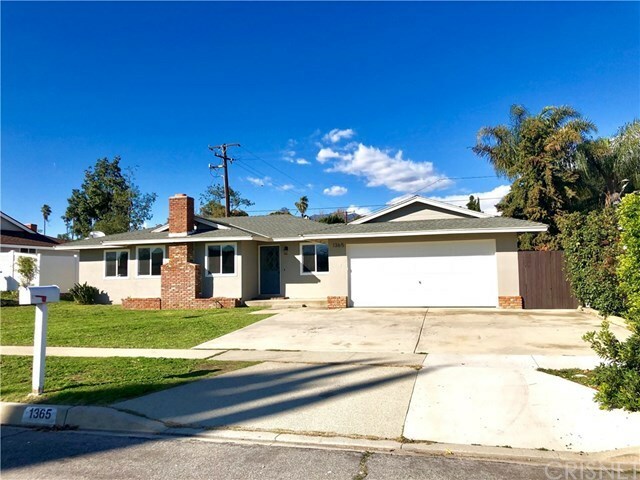 Charming remodeled mid century home located in a quite lush neighborhood. This home is a must see and won't last. Features 3 bedrooms 2 baths, large living room with a timeless brick fireplace perfectly situated, connecting the traditional and modern feel. New tile flooring and carpets throughout. Light bright and roomy. Kitchen counter top flows seamlessly with the back splash. Each bedroom has a great view, light and bright. Walk into the back yard and you're immediately met with a covered patio that is great for indoor and outdoor relaxation. The two car garage has been converted into a recreation room and a separate storage area, but can be easily be converted back to a 2 car garage by the seller. Don't wait on this opportunity.